Electric bicycle promotions is about helping the e-bike industry to become more mature and electric bicycle more popular. Why should we do that? I think that electric bicycles can really enrich our lives in many different ways. It's true that we can look at e-bikes as a sort of a transportation vehicle that is just like any other vehicle around us such as cars, motorcycles, buses, trains, etc. But, bicycles hold a certain charm, which combined with simplicity and efficiency that no other vehicle can truly compete with. To read further about "competition", log on to the comparison webpage where I dig into the differences between different vehicles. Electric bicycles can attract more and more people to use bicycles again. Some avid cyclists say that a bicycle and a motor should not come together, it's like cheating, it's not bicycling. But, electric bicycles are not just like any other motorized vehicle where the driver is passive (from a muscle power point of view), electric bicycles are augmenting the human power and not replacing it. By that, every one can enjoy it, from the most unfit person to the most athletic one. In the who is it for page, there is a compressive list of different ways that e-bikes can be bused. Just about anyone can find a way to incorporate bicycles again to their lifestyle. E-Bikes can start a big trend of moving tremendous amount of people to cycling again. And many past problem of bicycling such as excessive sweating, limited range, etc are solved with the help of e-bikes so it really can start a new era of urban (and even not urban) transportation. Why do we need to promote the electric bicycle? When someone step on an e-bike for the first time, her/his expressions are almost always the same. I saw the same behavior in numerous cases. First, they look surprised. Then, they are trying to see if this is for real by changing the level of assistance, riding faster, etc. After that, they look confused because they didn't expected it to be so much fun and finally they asking a lottttt of questions. And maybe most importantly, it is the big smile on their face from the moment the electric assistance kicks in until they stop riding. So we need to do some electric bicycle promotion. More people have to know about them and experience them. After that, some of them will become instantly addicted to the idea. How can we do this electric bicycle promotion? Celebrities are a nice way to promote everything and e-bikes are no exceptions. Log into the celeb page to see some examples. TV, newspapers, magazines and social media coverage are also great tools. Articles can include anything from test-rides, general e-bikes articles, or just a plain and simple ads for different e-bike brands. Big tours like, Tour De Presteigne or worldwide electric bicycle trips like the The Electric Bicycle World Tour for example, are also great ways to reach more audience. Also, any other exposure can have an impact, even "bad" exposures. For example, the Tour de France gave a huge boost to electric bicycles just by the fact that people feared that cheating was going on. The bikes was actually X-rayed in order to check for hidden electric motors. Conventional bicycles promotion promotion can also help to promote the electric bicycle industry. Organisations like People For Bikes are doing just that. Also, a nice article about what is exactly "bike advocacy" can be found here. There is a lot of confusion in today electric bicycle industry. The e-bikes market is immature and this cause a lot of confusion. And as in any immature market, the standards for getting in are low and this is why there are just so many e-bike brands. In the automobile industry, every car has to be manufactured by quite a high standards, otherwise it just have no place and it won't be able penetrate to the industry. But in the e-bike immature industry, everyone can jump in. This is why there are many low quality levels e-bikes in the market. Such e-bikes have safety problems and it also may leads to many unsatisfied buyers. It can drive away potential lifetime e-bike users and it's something which certainly need to be avoided. People will realize what they bought was a mistake and next time they will buy something better or they will assume that all electric bikes are crap and before long they will be back in their Car. In my opinion if everyone would use e-bikes instead of cars, accidents and especially severe accidents will be a thing of the past. If you want to read more about bicycling accidents statistics click on one of the following links: accident and deaths in amsterdam part 1, accident and deaths in amsterdam part 2. Just think about the fact that the vast majority of bicycle accidents are caused because of cars and not because of a bicycle hitting another bicycle. E-bikes are specified as a light electric vehicle and as such, their maximum speed are limited (Usually to about 25 km/h or 20 mph). Also, their acceleration, which is an important factor in accidents, is lower in comparison with most other motorized vehicles. But, still, serious injuries can hurt the whole industry. It will cause people to have second thoughts about e-bikes, it can cause regulatory backlash by setting more restricting laws, etc. Therefore, we need to do anything to avoid e-bikes accidents. E-bikers should obey the laws and we shouldn't praise people who ride illegal e-bikes which are much more powerful then what the law permit. Make it known that you have electric bicycle and why are you using them. Write articles to electric bicycle magazines, bicycles magazines and any other commuting and transportation magazines. You can even write a general article to the newspaper. Build you own website or your own blog. Picture you e-bike, make videos. Tell the world what is so wonderful about having e-bikes. Share your journeys, exciting trips and any other story on your websites or with other people, face to face. Show that you love riding your e-bike and you don't do it as a way to compromise or live a cheap life. Be happy and outgoing about it. It should be the truth, that you are using your e-bike because you love it and not just because you saving some bucks. 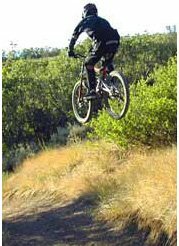 Share with enthusiasm what are all the secret benefit of owning an electric bicycle. Arrange a Critical Mass events or join any other Critical Mass. Network with other people who own e-bikes. Wear clothing that says "electric bicycles" on it can also be a great way to promote without actually doing anything. Network with other people and try to influence the policy maker to get some incentives for e-bikes and make your town more bicycle friendly.